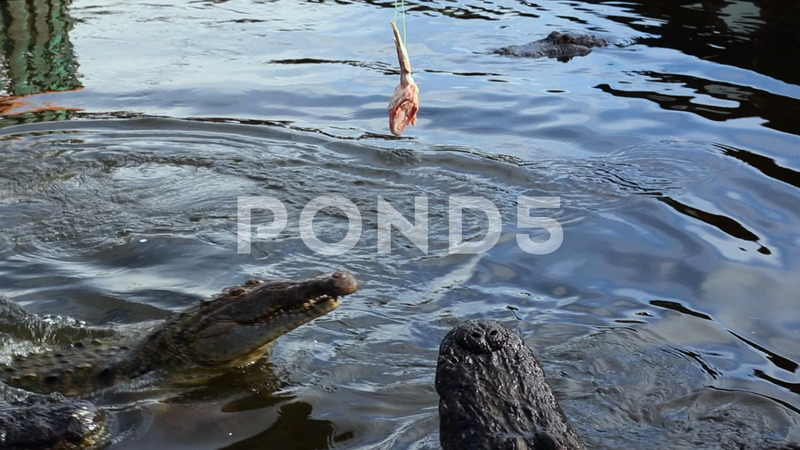 Description: Alligator Jumps out of water for meat in slow motion. Alligator bites the meat, but then lets go, splashing in water. Slow motion HD.